Jim McEwan of Bruichladdich has dazzled and influenced the whisky world with many of his exciting and innovative directions since taking over at the turn of the millenium. Perhaps his boldest and most iconic direction is to make peated whiskies and bottle them young, at young hot cask strength, when the peat is fresh and fierce. The excellent and popular Port Charlotte line exemplify this direction, but the ultimate expression of this style are the Octomores - the most highly peated whiskies in the world. 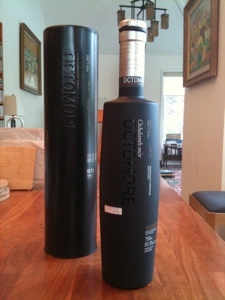 Octomore 01.1 was the first of the Octomore line and many reviews (such as this excellent one by Ruben at WhiskyNotes) identify it as the beefy brawny one. Subsequent expressions have slightly higher phenol (peat) levels, but none were reputed to exceed it in intensity. I didn't hesitate when an opportunity came to try it. Darth Vader is in the house. Color: pale chardonnay - a cliché, I know, but well warranted here. Rich pale gold. Nose: putty, library paste, mineral clay, a hint of garage (motor oil, diesel, and petrol) and some maritime ocean air with notes of salt, iodine, and sea spray. Further nosing reveals straw, dry malt, and some cut grass. There is a hint of cereal sugars, but the nose is for the most part dry, mineral and industrial in feeling. All whisky progresses across the palate, but Octomore 01.1 divides the three phases of tasting (entry, mid-palate, and finish) into totally divergent personalities like Doctor Jekyll and Mr. Hyde. Entry on the palate opens with a razor sharp burst of fresh clean vegetable sugars like treacle. This sweetness is big - carried on the wings of a ton of alcohol intensity. This sweetness is more than big; it is huge - and unexpected from the dry nose. 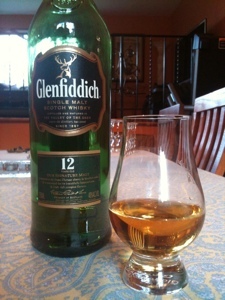 The sweetness steps aside 15-20 seconds into the sip and then the mid-palate explodes with rich peat. Earthy, smoldering, notes of tar, clean hot burning anthracite coal, tire rubber, and oil coat the tongue and mouth. Then 20-30 seconds later, at the turn to the finish, the big tar and fiery earth turns to ash, dense and with an almost bitter cast. Over the next few minutes the ashes fade to a wistful echo of the piercing sweetness of the opening. There are herbal notes in the sweetness of the long long finish. A few minutes after the sip your palate is like a motorcyclist who has tumbled on the roadway and skidded many yards to a halt through the grassy margin and emerged scraped but unscathed: a bit raw but exhilarated (and perhaps a little freaked out). There is char and herbs and a raw feeling on the gums, cheeks and tongue - the burn of 63.5% abv. Better have another sip. There's the putty, clay mineral and petrol nose. Then WHAM, the huge razor sharp and extremely intense pointed sweetness of the opening and then the rich creeping triumph of huge mouth coating tar, anthracite coal and burning smoldering earthy peat fading gradually to ash and then wistful echo. It's like the emotional progression of the Great War, from resolve to the wings of hope to the immolation of destruction to a melancholy burning rawness after the conclusion. Ok, granted it's not an ordeal on that scale - but it is a wildly divergent set of fairly intense experiences. 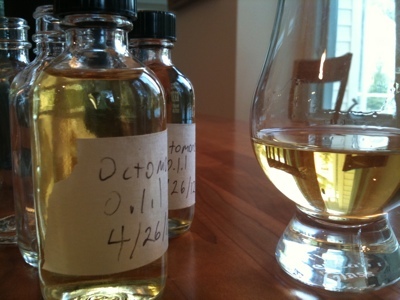 Yes, drinking Octomore 01.1 is like a big journey from the heights of the most intense sweetness like angel's wings to the depths of fiery hell with the most char I've every had imprinted on my tongue by any whisky. How about a drop of water? 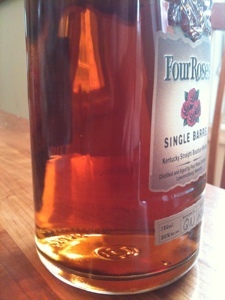 Water loosens the putty note in the nose and adds a distant bit of citrus and also some larger hint of the sugars. Sweeter, fruiter, and a bit piquant; but still with that bit of garage and petrol. The water does nothing to restructure that stately progression from intense sweet to intense fire to intense ash. So I try adding even more water - about 10 drops total. Now the nose is losing it, getting noticeably weaker but floral notes and sea moss have joined the citrus and clay and petrol. 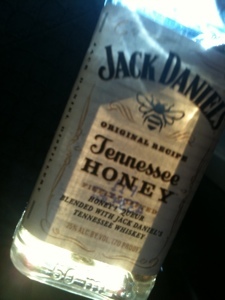 But on the tongue the sweetness is less razor sharp and more lusciously honeyed. The transition to the peat attack of the mid-palate is more gentle and gradual, and the peat attack itself is a bit softer with the vegetal notes and wistful sweetness showing up almost at the start of the finish so that the honeyed sweet entry almost seems to hand directly off to the ashy herbal sweetness of the finish. Water makes it less intense, but no less lovely - perhaps even more so. 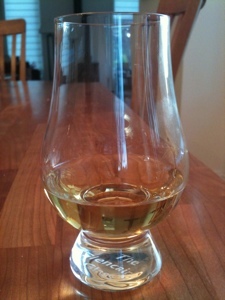 This is one of the very few drams I might actually prefer with a good drop of H2O. 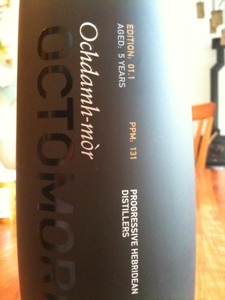 Comparing this to the Octomore 04.1 I'm struck more by the family resemblance than the differences. Both are pale, powerful, razor sharp, and intensely sweet up from with huge earthy peat in the middle and huge coal ash at the end. The 01.1 is has more motor oil, petrol, and mineral in the nose and midpalate. 04.1 is more earth and a more restrained refined aspect. However they are clearly kin. Both are exceptional experiences. Both are extreme experiences. Highly recommended, if you think you can handle it. And if you can find it. 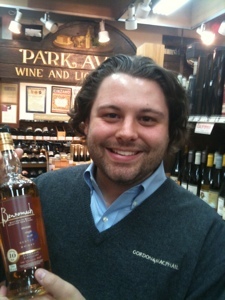 Try Park Avenue Liquors in NYC. This bottle will be part on an ongoing series of open shelf life experiments inspired by the fascinating series of experiments on the effects of oxidation and evaporation on whiskey left in open bottles performed by Ryan of Value Whisky Reviews / Value Bourbon Reviews. Follow the link above to read his 3 posts on the topic. The experimental methodology is to fill samples when the bottle is first opened and then compare them with the bottle over time as its contents oxidize. I'll be performing these experiments on an ongoing basis. Thus, when I opened this bottle I filled 5 two oz. sample bottles and will compare them with the remains of the bottle over time. 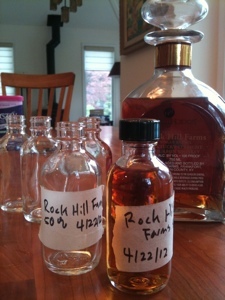 I'll be looking at mouth feel, aromatics, nose, and flavor and will use Ryan's five point scale of discernible affects. I'll try to do comparison tastings at 3 months, 6 months, 9 months, and a year. 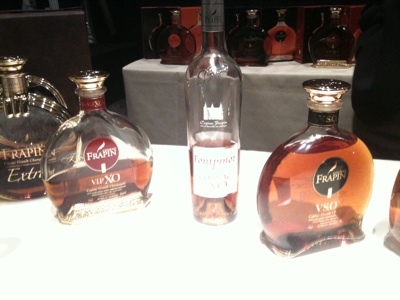 Frapin Cognac. My first sight on walking into the room was Frapin Cognac. All my favorites were on display and then two high end offerings, the VIP XO, and the Extra Grand Champagne, that I had been dreaming of trying - but never would have dreamed would be there. The VIP XO amped up the strengths of the Chateau Fontpinot XO with an even more effusive floral nose, august noble midpalate bursting with crystalized bitter orange, jasmine blooms, leather and rancio, and a long killer finish with walnut skins, luxury oak and bliss. The Extra Grand Champagne (top of the line except for the crazy kilobuck crystal decanter job) has been a dream tasting of mine ever since Paul Pacult put it in the 2011 hall of fame - see #5 on the page: http://www.spiritjournal.com/tastenote.htm Well - blow me down, Larry Neuringer of Frapin's US distributer, Palm Bay International generously poured me one. It was sublime - taking the VIP XO's flavor profile even further into the stratosphere. I took a 3cl sample so I'll be doing a full review in the weeks to come. 5cl samples are going for $80 on Ebay, so this actually just about paid for the event cost right there in the first 10 minutes! I was LOVING IT. 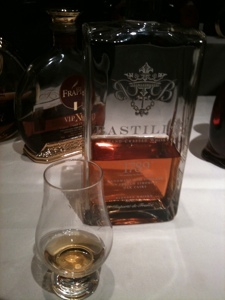 Palm Bay also distributes an exciting new barley malt and wheat whisky from Cognac called Bastille 1789. Distilled in alembic stills in the Cognac fashion and then aged in casks made from French Limousine oak, cherry and acacia woods, the flavor profile is startling different. The nose is spiced with South Asian notes of curry, paprika, maybe some ginger. The entry is unexpectedly sweet, then followed by a lean and drying midpalate that is elegant and refined and an unexpected sweet and herbal effusion of woods on the finish. I took a sample of this as well and am excited to write a full critical review of this as well in the weeks to come. 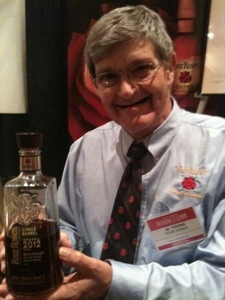 Four Roses' Al Young was there pouring the astonishing new Four Roses 2012 Single Cask. This is the higher corn mashbill recipe OESK, 52.5% abv. The nose was rich and huge and refined with a profusion of floral notes and big fruits. The entry big and round and glorious. The midpalate elegant, strong, refined and richly cognac-like with citrus and herbs. Lovely drying tannins on the finish. This is clearly one for the ages. 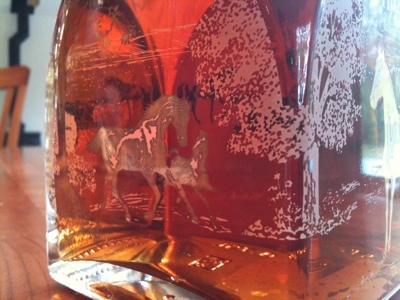 Jim Rutledge shows that Four Roses is still pushing the art form of Bourbon to new heights. This is a bourbon that, tasted immediately after the Frapin Extra Grand Champagne shows that American Bourbon is a spirit that, at its highest levels, clearly rivals the very best of the world's spirits. 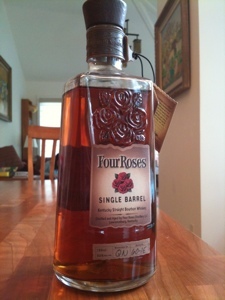 Hats off to Rutledge and the Four Roses crew. I'm seriously buying this one. Balcones - Having tasted and reviewed Balcones Brimstone I was intrigued by the clearly high level of crafting, but wasn't totally convinced. Brimstone is bold and original - but it is out there as a flavor profile. I wasted no time in parking myself in front of master distiller Chip Tate and tasting the whole line. It was, literally, a conversion experience. Chip poured and explained and guided me through the line. Texas Whiskey - a malt whisky - had eucalyptus scents in the rich wooded nose; rich sweet malt honeyed entry and a lovely dusty oak finish with a feel of the Texas terroir. I was, frankly wonderfully surprised and pleased by the refined and delicious presentation. 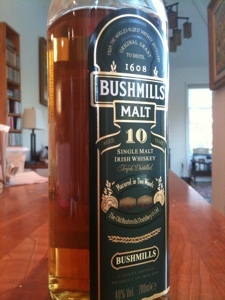 This is the best US craft malt whiskey I've yet tried. Rumble - a fascinating distilled product made from sugar and figs (so it's part rum and park eau de vie). Blackberries, wine, and meade. Lovely. Baby Blue and True Blue - blue corn 100% corn mashbill corn whiskeys. Baby Blue is rich and sweet with a young vigor. True Blue, the cask strength expression is another of those refined landmark products that rivals the great spirits of the world. 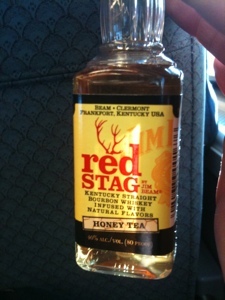 I took a sample of this for a full formal review in the next few weeks. True Blue was astounding. I begin to fall head over heels. But Chip wasn't finished yet. 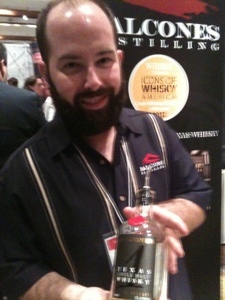 He poured me a parting shot of a rare limited edition of Balcones Brimstone called Barrel 1200, or "the burned barrel". It was huge. The nose took Brimstone's sweet mequite brushfire notes to another level of high resolution fidelity and enormous terroir. On the palate it was titanic, and yet elegant and refined. Ultimately astounding. There were other highlights too and many more drams: Old Pulteney, Glenfiddich. 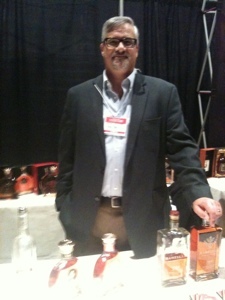 I met David Allardice of William Grant & Sons. 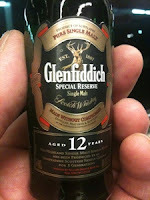 We had a dram of Glenfiddich 15 Solera. I took a sample for future review. The healing continues and I'm beginning to understand and come to grips with the Glenfiddich floral honeysuckle honeydew melon Speyside flavor profile. 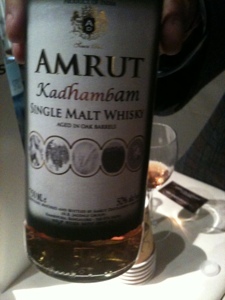 I had a wonderful interlude with Amrut, including tasting most of the line including Intermediate Sherry and the new release, Kadhambam - aged sequentially in bourbon, sherry, brandy, and rum casks. Gal wrote a detailed review of it in Whisky Israel. An important mention. George Manska was evangelizing and selling The NEAT glass. 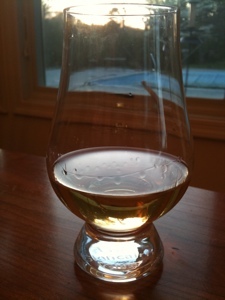 The Scotch Noob reviewed the NEAT glass last week. I picked one up and plan to corroborate his work (and add the Reidel scotch glass into the mix) in a review in the near future. All in all, a night to remember and treasure. I can't wait for the next one. I learned a lot. Come early, stay light, carry lots of empties! A magical room where everyone is happy and everyone you see is pouring for you! Connemara Turf Mor shatters boundaries. A massive bull in the Irish china shop. 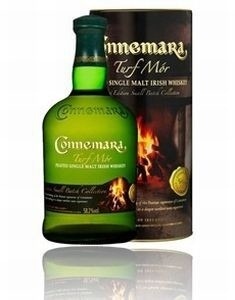 Connemara (now a division of Beam, but at the time independently Irish owned) makes peated twice distilled Irish whiskey with a ton of character and terroir. Turf Mor as a limited (20,000 bottle - released in 2010 and already hard to find) run of cask strength highly peated extremely young Irish whiskey. 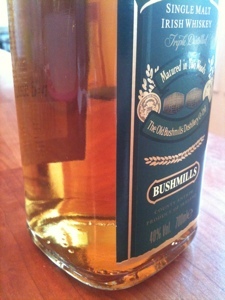 As such it shatters a host of traditions: It is double distilled, not triple like virtually all other Irish whiskey. It is highly peated at "over 50ppm" according to their web site. It is bottled extremely young (3 years). 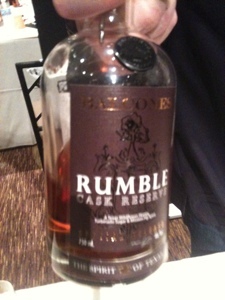 It is bottled at cask strength. 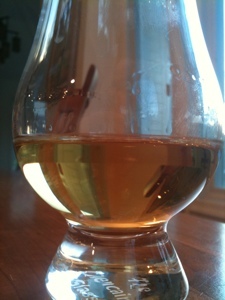 In these attributes it more closely resembles Port Charlotte PC5, Octomore, or Ardbeg Very Young (or Still Young). "To recap the story of Turf Mór, a few years ago Cooley had trouble sourcing its usual amount of 20ppm peated malt from Scotland (malt made in Ireland is not peated). To keep the stills going, they bought a higher 58ppm malt and mixed it with the unpeated variety to moderate the intensity." 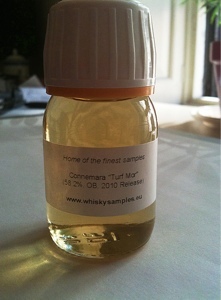 "As an experiment, however, they distilled some of the highly-peated malt on its own and that is what has appeared today as Connemara Turf Mór." "As it seems, Cooley had a rough time getting lightly peated malts from Scotland, so they chose to simply mix peated and none peated malts for their regular Connemaras. In addition they experimented with using only the higher 58 ppm barley and the outcome is this “small batch” highly peated expression (20,000 bottles to be released ). 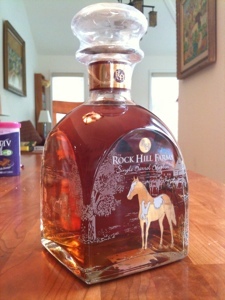 The whisky iteself is very young (3 years old), and will be bottled at Cask strength." None of these attributes is typical of Irish whiskey, even of Connemara's excellent peated Irish whiskeys - and the result is a dram that is very different from anything else out there. Nose: Earthy peat, rubber, farmy loam, farm animals, touch of wine sweetness. The sweetness hides red fruit. Hint of sherry? 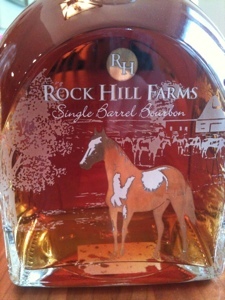 The mix of farmy notes and sweetness combine to remind me of manure on a farm; earthy and sweet. That might sound off-putting but it isn't. There are also some herbal notes. This is a big big complicated and rich nose. Entry is hot and bright with the intense sweetness of new make: white cane and rice sugars. The opening also has earthy notes of yeast. This took me for a loop and reminded me of Corsair Triple Smoke which also is extremely young and opened with a yeasty sweetness. 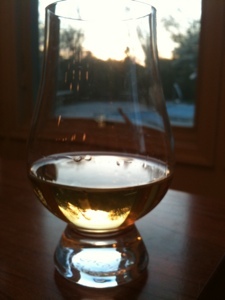 The midpalate hits with a big slam of earthy peat - as you would expect from a dram with 58ppm. That note of farm animal manure sweetness comes at the end, integrated into organic protein congeners. There's a glaze of honey soy - raw malt. So, there's one entry sweet note of rice up front and another of manure organics at the end of the midpalate and in between is sandwiched a broad expansion of malt cereal and big earthy peat. That sweetness sandwich bewitched me again and again as each sip progressed across my palate. Finish is long and chewy with peat reek dominating. Earth peat raw burns slowly to an earthy non-smoky fade. There is none of the tar and ash of Islay. There's no smoke at all really. It's earth. 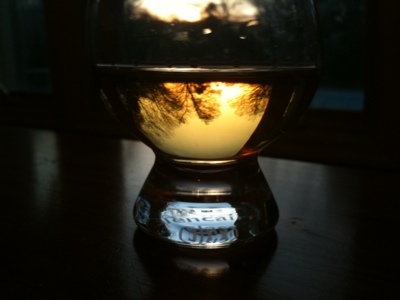 It's more like Ardmore's glow of peat, warming into a gentleness of a fade out. 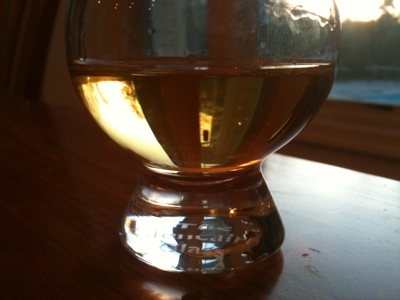 Tail end sweetness has vinous red fruit essences - sherry, and plum that elegantly twine within the big peat reek glow. Big. No, HUGE flavors. Austere yet exuberant. 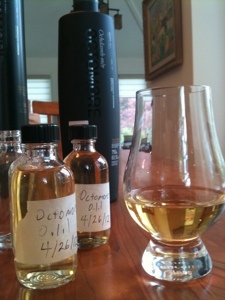 Octomore meets Corsair Triple Smoke meets Ardbeg Uigeadail meets Brora meets something totally new. What a bold, complicated, oddly compelling weird dram. The extreme youth of Turf Mor is a mixed blessing. The peat is at its biggest and boldest and the sweetness of new make is vivid and intense, but the rawness lends yeasty and soy notes that are odd. 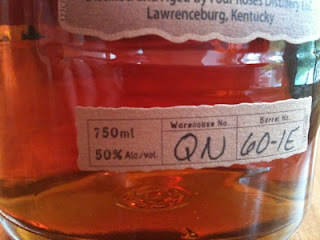 The vinous notes in the tail end sweetness makes me think they used sherry cask. I wonder if a bit more time in those sherry casks would have made this dram over the moon good. Ultimately a quibble. Turf Mor is thought provoking, intense, different, and almost really delicious. Compass Box Hedonism Review - Coconut cream vanilla perfume eau de vie. I've had the opportunity to taste Hedonism several times recently - particularly paired with Pacari Lemongrass chocolate. When I attended the event at the St. Giles I took the opportunity to pour myself a 50ml sample from Compass Box brand ambassador Robin Robinson's own bottle of Hedonism and I finally got around to pouring it for critical review. That's why I have no bottle pictures - just lots of pics of my dram of Hedonism in the lovely fading light. 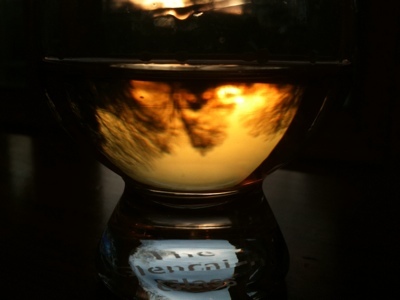 Hedonism is, quite famously, a blend of grain whiskies - not malt whisky. That's part of the iconoclastic fun of Compass Box. They turn a lot of things on their heads. Peat Monster is a blend of 3 malts - but only one is from Islay. Orangerie is *gasp* flavored. Spice Tree and Oak Cross use a unique and spicy kind of oak in the barrel finishing. They slaughter sacred cows ruthlessly. Having their highest priced semi-regular expression be a blend of grain whiskies is iconclastic because we've all come to believe grain whisky is cheap - and is what's wrong in cheap blended whisky. We say of a lower quality blend that it tastes "grainy". We praise better blends for their higher percentage of malt (and thus lower percentage of grain). However, as The Scotch Noob pointed out in a recent post called "What does Grain Whisky Taste Like": the problem with cheap blends is CHEAP grain whisky. 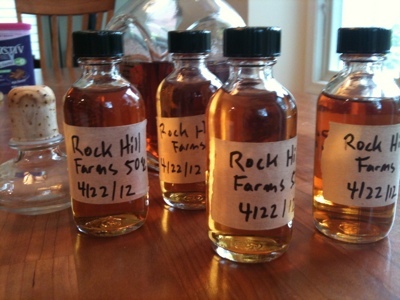 Good grain whisky is a whole different ballgame. There are actually a whole bunch of grain whiskies where nicely aged examples can be had that have nice flavors: Invergordon (check out Ralfy video log #256), Carsebridge (Ralfy #255), Cambus, Port Dundas, North British, and Cameronbridge come to mind. However, the business of vatting - blending - them is almost unknown in the current marketplace. Other than Hedonism, only Famous Grouse's Snow Grouse expression is a blended grain whisky - to the best of my knowledge. First fill American oak. Non chill filtered. No colors added. Nose: Cocoa butter, white chocolate, unsalted butter/Devonshire cream, oak vanilla, medicinal alcohol, faint citrus (tangerine). Subtle, yet rich and dessert like. Creamy bright opening with sweetened whipped cream. Then the expansion begins with toasted coconut. A bright brassy note that is hard to put words to: citrus or acid without the acidity. The mouth feel is light but has some oil thickness - it's silky. Then more creamy notes with a big floral bouquet of oak vanilla. Pepper heat arrives late with some warm almost prosciutto fat flavors for a moment, but they disappear as the finish begins. The finish lingers nicely and exceedingly gently: egg custard and birch wood and then finally gentle oak at the fade out. The dominant impressions here are subtle, off dry, elegant, and tasty. 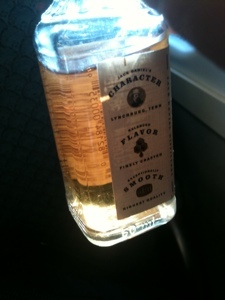 Coconut cream pie eau de vie. This isn't a big booming dram. It's more like a 1000 thread count silk pillow. Silky, rich, buttery, and sweet like a cloud. Adding a couple of drops of water releases spirit heat in the nose which clears in a moment and amps up the coconut and a slightly meaty and also a slightly herbal note in the nose. The water increases the sense of sweetness as well as the floral and herbal flavors. I'd definitely recommend experimenting and adding 2-3 drops. But be careful - Hedonism is very light and subtle. Only add a little bit of water. Over dilution is just around the corner. Conclusions: Tasty. Surprising. Eye Opening. Excellent. A whole new world. Hedonism is $90 at Shopper's Vineyard. It's between $80 and $110 in general. That's pretty expensive. I'm not sure where Hedonism fits on a the value scale. It's a very unusual item. I suggest you try it. If it's your thing, you'll definitely know it.